One of things they hate the most about us Christians is we pretend to be better than we are. God hates that too; just look at when David condemned a rich man for stealing his poor neighbor’s sheep when David had slept with Bathsheba and killed Uriah. Really, we’re no different than people in the world: they like on their resumes, we in our testimonies. There are forces that push us to insincerity. One is that we cannot deny the Word even while we are not living it. The world says: I don’t criticize your sin; you don’t criticize mine. Even if Christians are in sin, they can’t verbally embrace it. To do so would be to renounce Christ. It’s better to be a failed Christian than not a Christian. Another force is the pressure of ministry. A standard of conduct is required for any job. When we hedge that, it’s too easy to cover up. This is a universal tendency. “Hypocrite” is a quick and easy way to bash Christians. But in the Greek, a hypocrite is an actor. I live near Hollywood, and when a person calls himself an actor, it’s a compliment. Everybody on the planet is a poser. Not even Socrates was so sincere. But having explained why Christians are insincere, I want to state that a push for sincerity will attract people. Ultimately, we are saved by grace, not by works. We are just as messed up as people in the world. We experience temptation and fall. We get back up, ask for forgiveness and try to serve Jesus again. A sinner has no one to turn to. We turn to Christ from the holes we fall in. His quest for truth pit him at odds with his family, founding members of Hamas. As a Palestian boy, Mosab Hassan Yousef hurled stones at Israeli tanks and ran from bullets on the West Bank. But misgivings about the intifada arose when he saw Hamas leaders torture fellow Palestinians in an Israeli jail. “Those people I was hoping would bring justice, happiness to earth by creating a global Islamic state were torturing their own people. They were suspicious that someone was giving information to the Israeli interrogators,” Yousef said in a YouTube video. During his jail sentence, Yousef, then 18, signed up to work as a double agent. He did so thinking he would infiltrate and exact revenge on Shin Bet, the Israeli version of the FBI. But as he witnessed more and more Hamas’ brutality, that plan got scuttled and he collaborated with Israeli intelligence to foil Palestinian plots. He worked to stop senseless deaths on both sides. He agreed to betray his countrymen on the condition that the Israelis not assassinate but only imprison. He even betrayed his father, Sheikh Hassan Yousef, a founder member of Hamas. From 1997 to 2007, Yousef halted assassination attempts against Israeli leaders and put high-ranking Hamas leaders behind bars. After a cab driver invited him to a Bible study, he was confronted with Jesus’ injunction to love your enemy. “That made perfect sense,” he said. From his birth, he had been drilled to regard the Israelis as his enemies. Leaders of the Bible study gave him an Arabic-English Bible. At first they didn’t know his terrorist connections. As he searched and questioned, he eventually accepted Jesus as his Savior, and in 2005 he was secretly baptized in Tel Aviv. On the eve of the release of his autobiography Son of Hamas: A Gripping Account of Terror, Betrayal, Political Intrigue, and Unthinkable Choices, his father disowned him in 2010. “I am hopeful that one day we will talk,” Yousef said. “What’s between me and my people, what’s between me and my father, is the god of Islam. This wall. If I can destroy this wall, I will do it with the power of love and the power of my God. I have been paying a very high price because they consider me politically incorrect.” Read the rest of the dangerous life of Mosab Yousef. They only last three weeks. Then the gym empties out, the fridge fills up, and the checking account empties out. It’s sad. I believe in church service. At the end of each service, we have the chance to go forward to the altar and “repent.” For the unchurched, that means, we make resolutions. No, were not a bunch of hypocrites. We’re just human. And humans need to constantly redirect their paths for the good. We receive exhortation to forgive, to avoid pratfalls, to put our family first, to not waste our money, etc. I go to church at least three times a week. I make resolutions to be a better man at least three times a week. This actually helps me to be a better human being. The constant forming of resolutions works better than the once-a-year grandiose life-changers, at least in my opinion. Have you ever succeeded at at New Year’s resolution? Maybe I’m wrong. Share in the comments your experience. Assail it all they can, the Bible stands as God’s unaltered message to humanity. Science advances, societies evolve, morals change, fashions come and go. But the Bible remains unchanged. Its message: We are sinners, but God loved us so much that He punished His Son in our place. We must come to Him in repentance and gratitude. God’s code of conduct doesn’t evolve. We can’t improve upon it. The very thing people hate about the Bible is its strength, its eternal nature. It’s the half lie that hurts. MacBeth is tantalized by the possibility of becoming king. Already the witches’ oracle that he would become the Thane of Cawdor is fulfilled, and that was an impossibility. So now, the next oracle is bound to happen! MacBeth, egged on by his power-hungry wife, takes matters into his own hands. He kills the existing king and frames the guards. As MacBeth is the most outstanding Scottish warlord and hero, he is named king. But then everything begins to spiral downward. He hires some wicked assassins to kill would-be rivals. He hallucinates the ghosts of those he has killed with treachery. His wife goes insane and then dies. The more enemies — real or perceived — he kills, the more they multiply. Does he enjoy even one moment of the power he lusted for? The witches followed the pattern of the serpent in Eden: You won’t die, Eve. You’ll become like God knowing good and evil. It was a half-truth, and it brought temptation to fruition (sorry, couldn’t resist that pun) and the ultimate demise of humanity. Modern society is now based on half-truths as the Bible has been discarded and new ideals and new moralities are spreading. 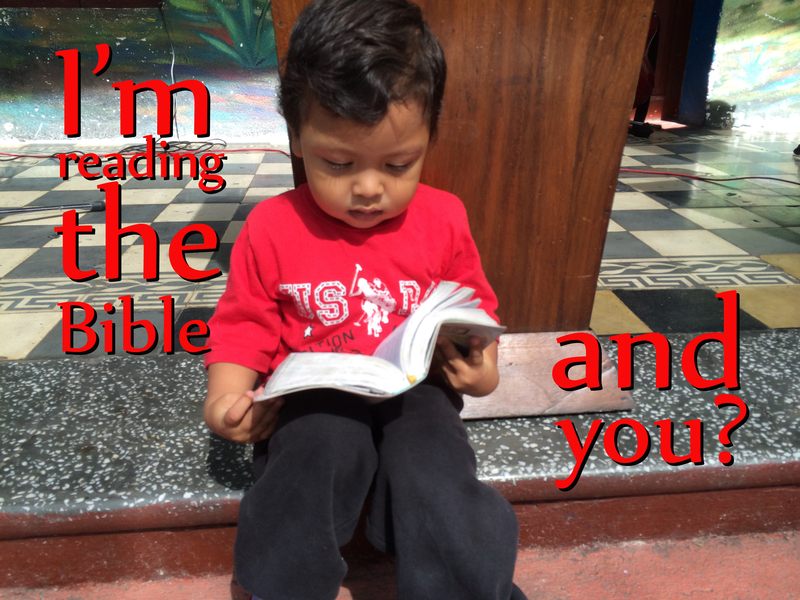 I’m reading the Bible… and you? There’s all kinds of great literature around the world. As an English literature undergrad, I personally like Shakespeare best. But none of the literature I’ve ever read compares to the Bible. It’s all good. The themes have made me a better person, nobler, with refined sentiments. But only the Bible is God’s spoken word to help man get to Heaven. You can pay attention to the Huffington Post and their brand of recently formulated morality. Or you can base yourself on the formula that has worked for ages, that existed before the foundation of the world. How do I pray? The importance of unity. 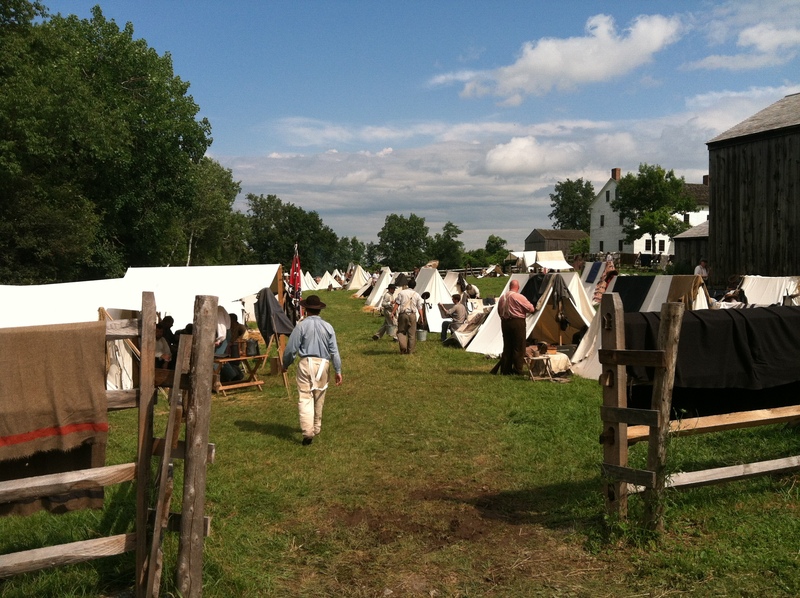 I saw a Civil War battle reenactment in Genesee Country Village and Country Museum near Rochester, New York. Being from the West Coast, I had never seen anything so astounding. The Union troops dislodged the invading Confederates from the village and then re-engaged in the afternoon on the open field. Canons thundered. Plumes of white smoke squirted six feet out of muskets. Soldiers died writhing in acted pain. In the village, there was even a surgeon’s tent where they explained the horrors of a five-minute amputation, necessary to save lives with the bone-shattering musket balls. A reenactor explains tying off blood vessels. The Civil War was a horror. More American lives died there than in World Wars 1 & 2, Korea, and Vietnam combined. In it, brother killed brother. My daughter, Rebekah, and I, after the battle. Rightly, Jesus warned against a house divided against itself. Leave your gift there in front of the altar. First go and be reconciled to your brother; then come and offer your gift — Matt. 5:24 NIV. The need is so pressing to conserve unity that you should interrupt your prayer time to restore fellowship. 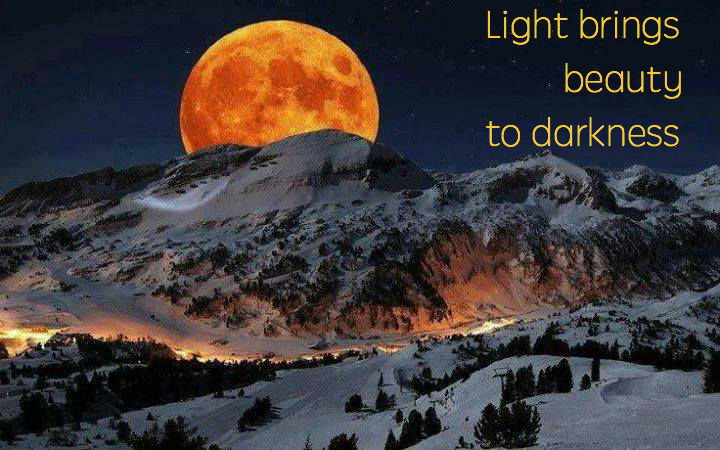 Disunity blunts prayer’s power. Let not your church become a Civil War. The church is supposed to horrorize Hell’s henchmen. But when we turn on rifles on each other, we become a laughingstock for demons’ delight. Conflict occurs because people wrongly think they must compete against other members of the church for preeminence. It’s a worldly concept of dog-eat-dog, put-others-down-so-I-can-climb-on-top, that should be left in the world. Striving for unity pleases God — and blesses your prayer. You can’t control what people do to you, but you can control how you respond. Being diligent to preserve the unity of the Spirit in the bond of peace — Eph.4:3 NASB. Do all YOU can to preserve oneness. The Civil War ravaged our nation. May our churches be spared of division. How do I pray? Keep unity.